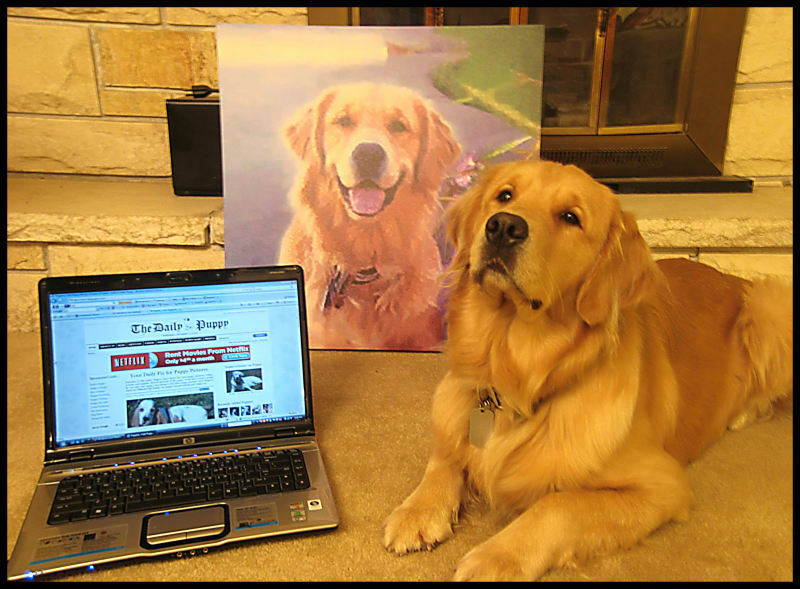 The Daily Puppy was nice enough to feature Parker for the second time on their website, this time as the Grown-Up Puppy! Follow the link to see his featured page on DailyPuppy.com, more photos, and some very lovely comments! Happy Halloween from Parker and Daisy!! 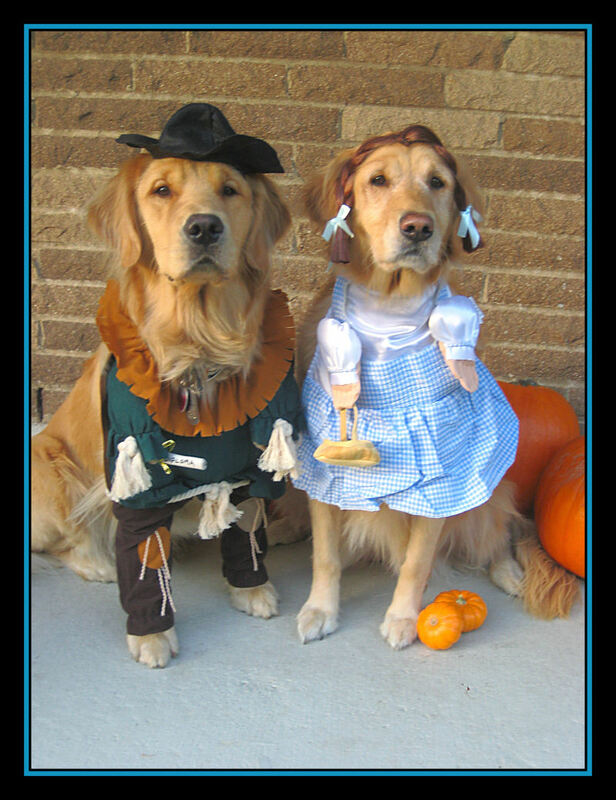 Parker & Daisy were featured on Halloween for the 3rd time on The Daily Puppy in their Wizard of Oz costumes! 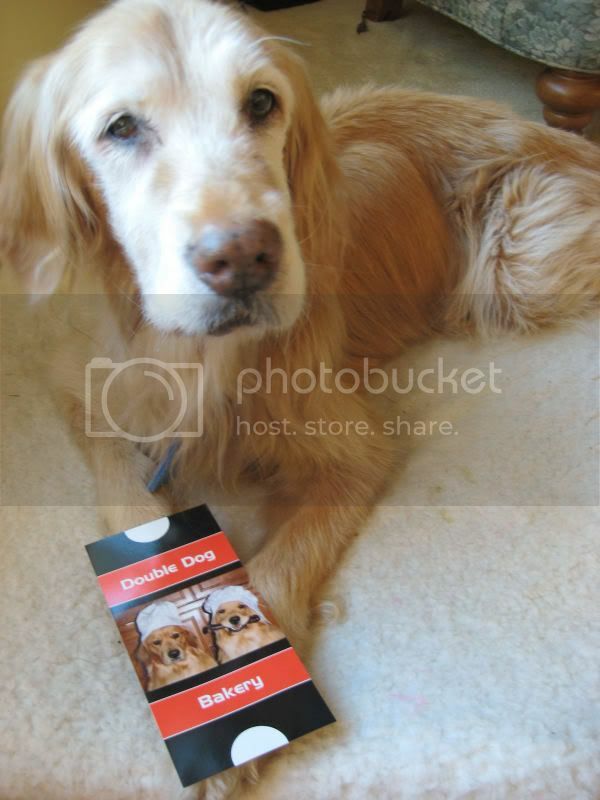 Thanks, Daily Puppy.com! 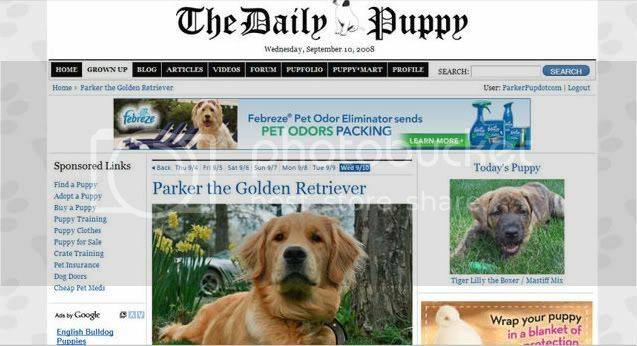 Parker won 1st place in a photo contest on DailyPuppy.com! 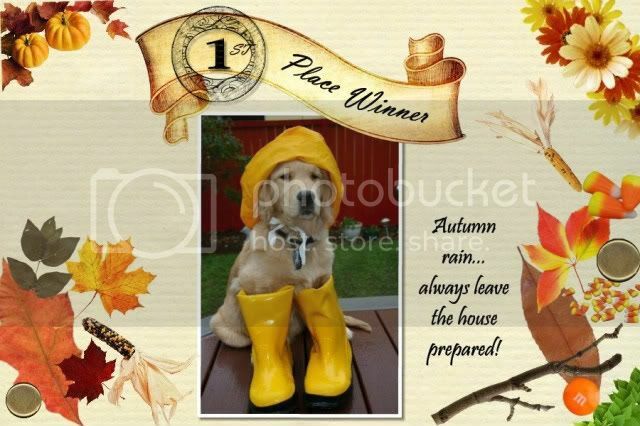 The contest was an Everything Autumn theme. He was up against some very cute dogs in clever photos so we were very pleased to win! For his prize, he received a VERY beautiful large stretched canvas photo from PhotoFiddle.com, valued at $180 -- it's of Parker! We are very excited to receive this award and the beautiful canvas of our handsome boy! We entered Parker in another photo contest. 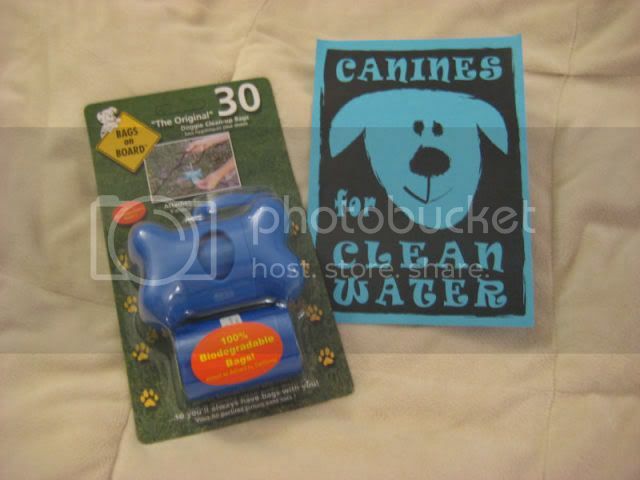 This one was Canines For Clean Water! Remember to be responsible doggy owners. Parker wants to remind everyone to clean up after your pets! Anyway, we got word that Parker won for the month of November! 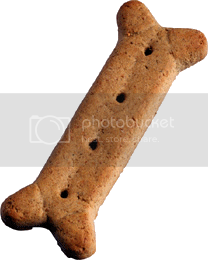 He won a dog bone dispenser with baggies inside. 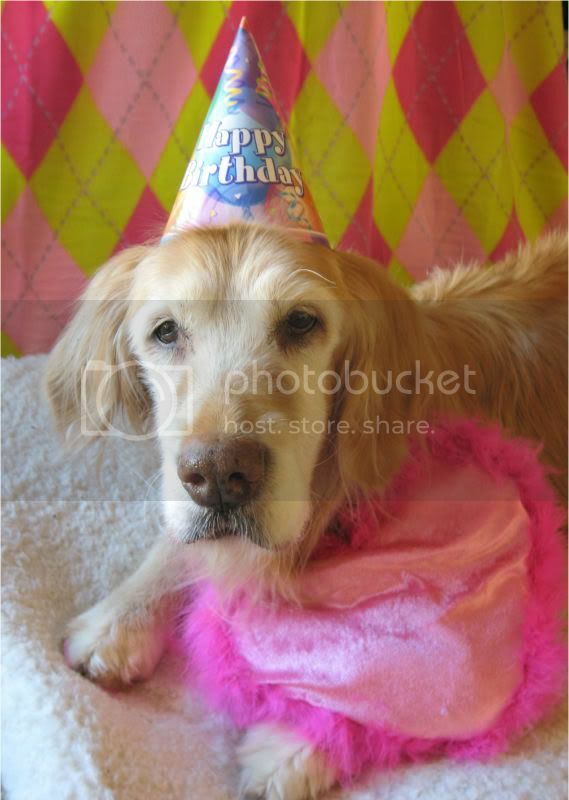 Parker's sister, Sophie, turned 14 on 11/24/08! 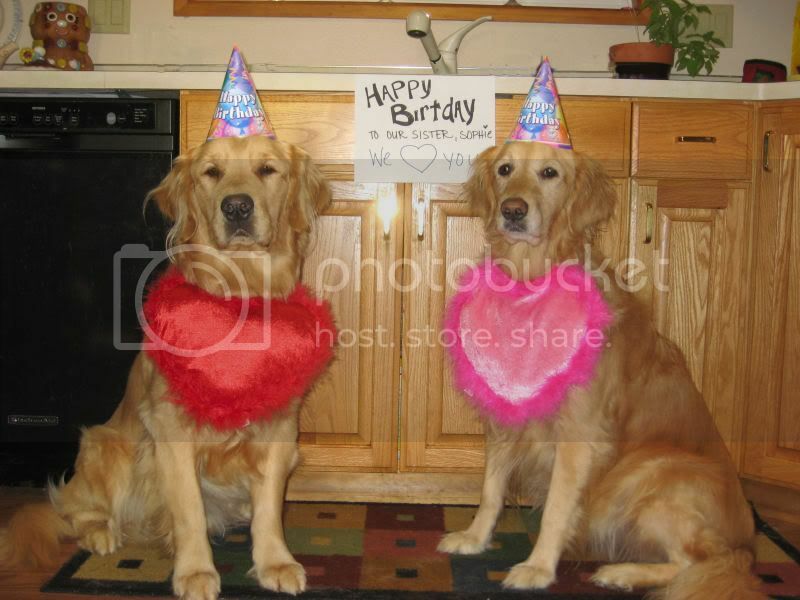 Click on The Dog Blog to see photos of the happy event. Parker is almost done with his first class in Agility! Throughout this course, he's brushed up on his targeting, heeling, and learned to side, mark, the A-Frame, the teeter, the dog walk, weave poles, and a number of other things! 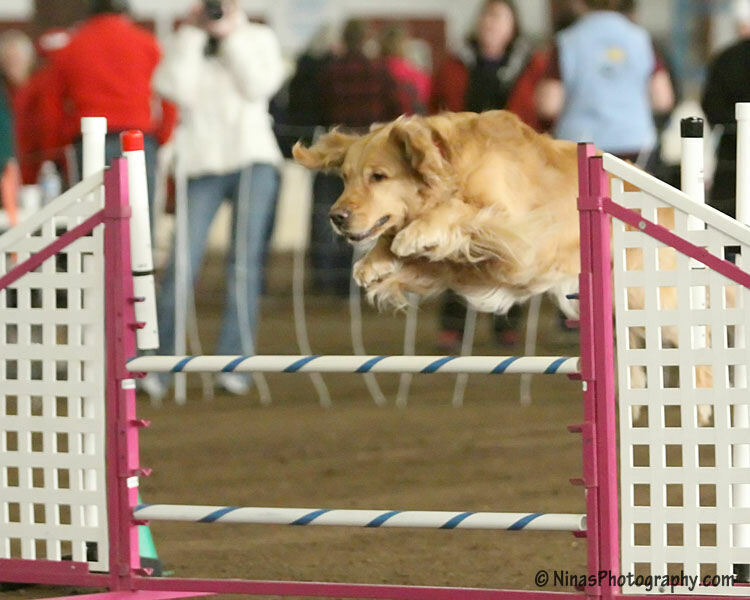 We'll update this blog page with photos and videos of his "sporting career as we go through the Agility classes. Parker also has a "fan page" on facebook! Come check it out! Parker's on Facebook! Parker takes on moving toys... round 2! Remember last year when Parker was just a wee little pup, and he was introduced to all sorts of moving toys? He? Was less than thrilled. 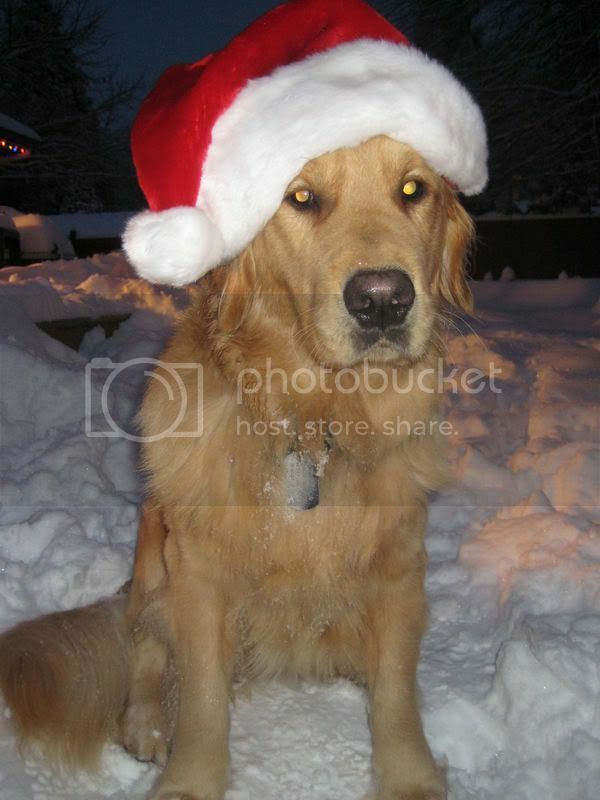 But this year as we were hauling out the Christmas toys, we thought, "Hey! Parker's a big, strong, confident dog now! Surely he will get a kick out of the moving objects this year." Volunteering Puppy? The Holiday Express! Who wouldn't want to volunteer in a reindeer costume.. bringing smiles to the faces of children and adults who came out to see The Holiday Express (a famous locomotive, the 4449)?? 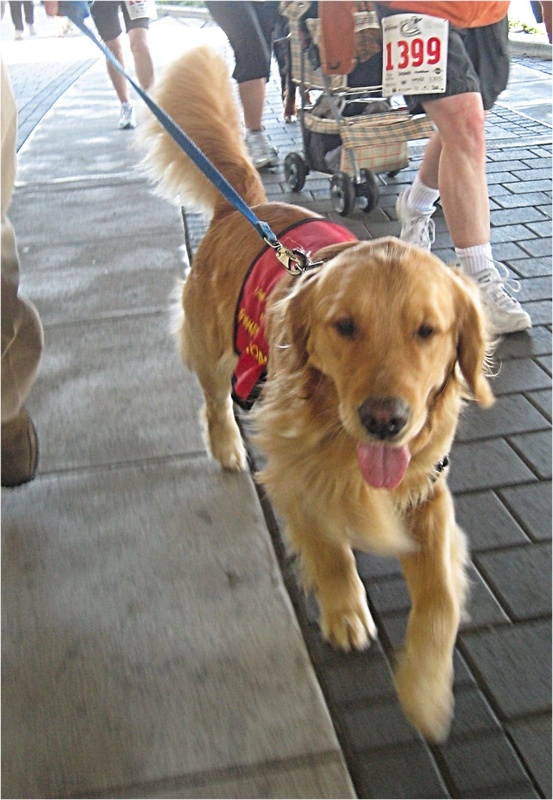 Parker, the amazing golden retriever decided to accompany his "dad" and meet people from all over the Pacific Northwest at this event. And he sure had a great time! 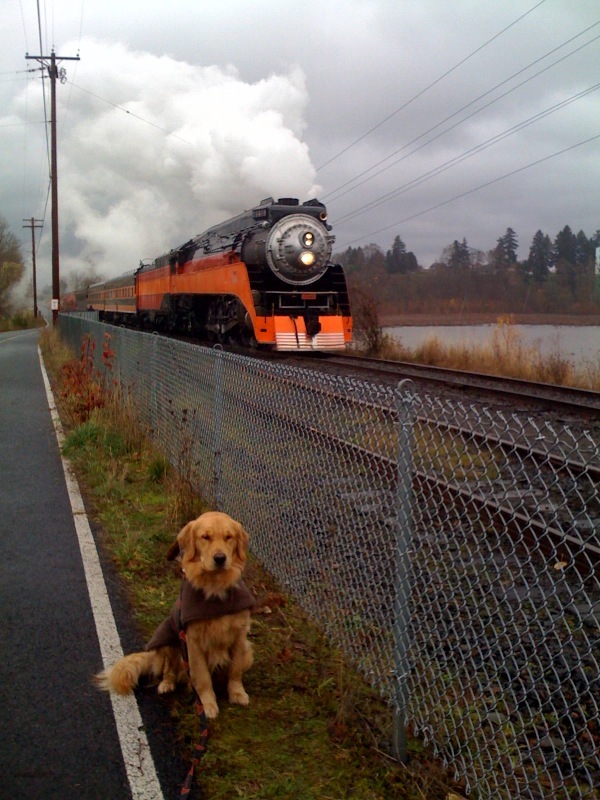 He got to ride on a speeder, meet tons of people, and show off his great obedience skills even with a loud locomotive blowing its whistle! For more photos from Parker's volunteering experience, visit the 1 year photo album, under 16 months. 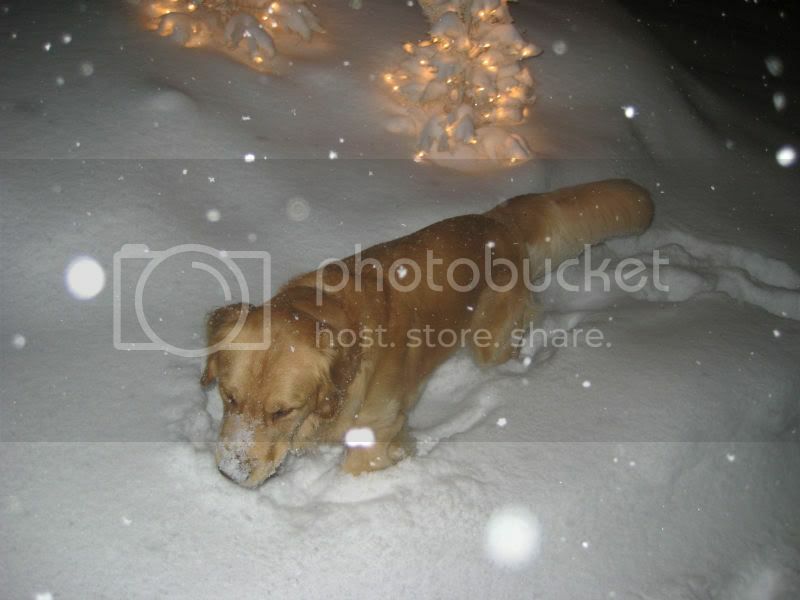 Massive Snow Event in the Portland-Metro area.. Parker takes it on!! The week before Christmas, Portland was blanketed by snow! Usually we are lucky to see 1-3" once a year, but this snow event dropped about 12" and shut down a lot of the state for a good week! Many people live in areas where this is not uncommon and will laugh when they see us trying to drive around in it -- our infrastructure here just isn't set up for events such as these! So we all got to spend a lot of time at home, which made the dogs VERY happy! And of course, they love snow, so what more could they ask for? 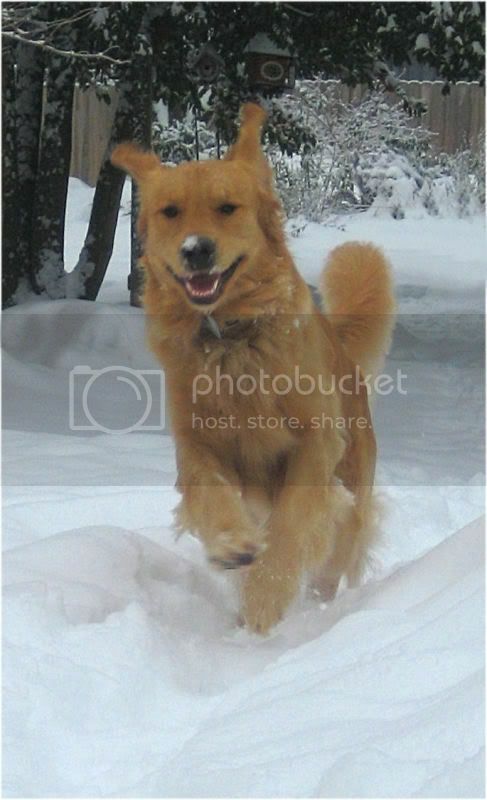 Typically when we take the dogs out in the snow, they react like wind-up toys, running, jumping, playing! This time, Parker was awoken from a nap after a pretty tiring play-session. He still loved it... but this is not the typical response. That wish we always hope for -- for a White Christmas -- was granted. Though... I think we'll all be careful just what we wish for from now on. But to have snow falling on Christmas day with the ground already coated in white was pretty special! We received a wonderful compliment and surprise in our e-mail! The lovely people at G.R.E.A.T. 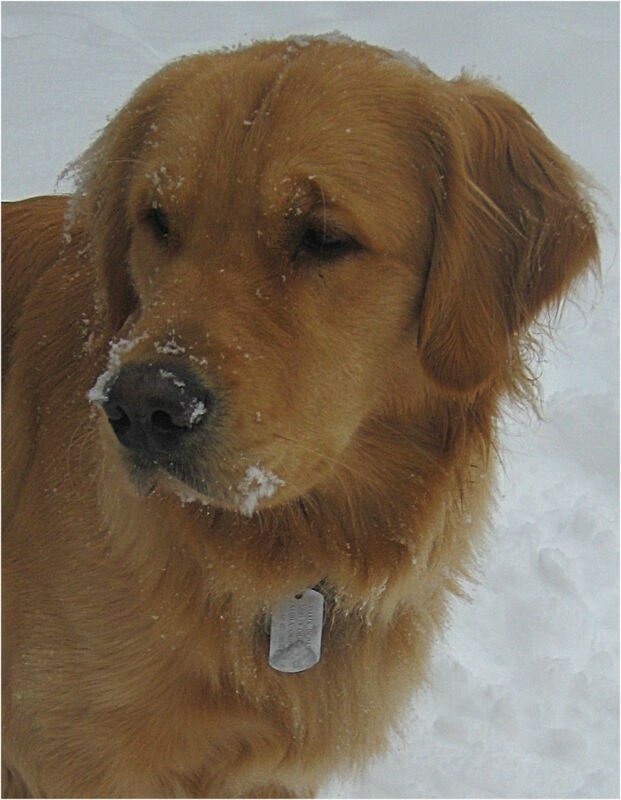 Rescue (Golden Retriever Emergency Assistance Team) included a little blurb about Parker and his website in their December issue! G.R.E.A.T. 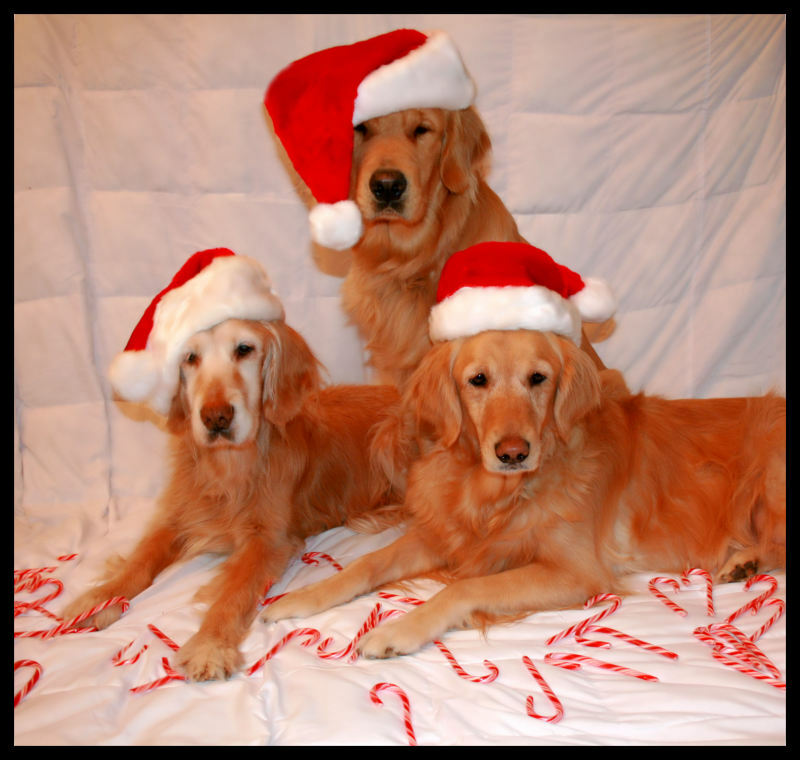 is an organization that helps match goldens -- who, for whatever reason, need a home -- to their forever family. 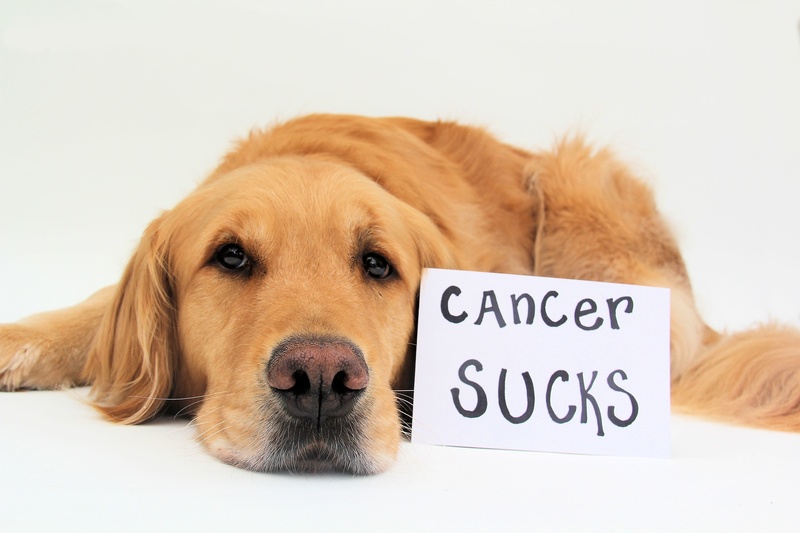 Anytime you can rescue a golden, as long as you are willing to put in the time, effort, love and devotion, it makes the world of difference to so many people and doggies out there. 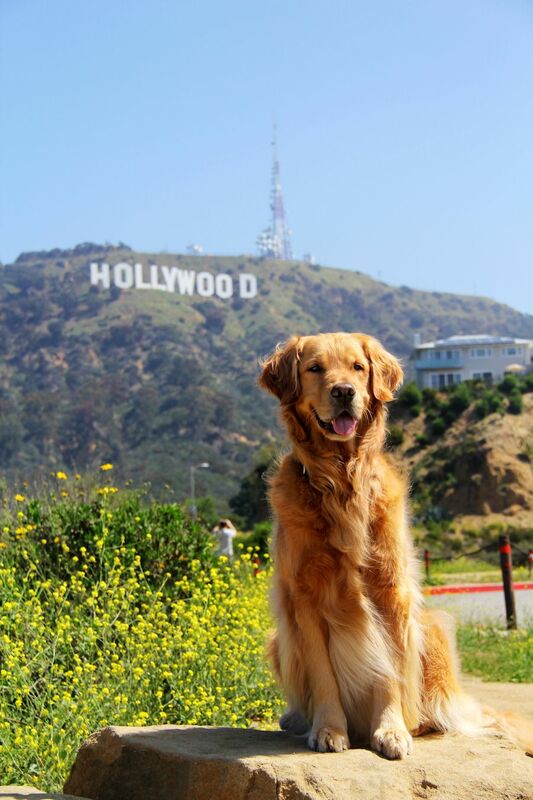 Parker had a guest-starring voice-over role in a popular online 'webisode' called Ella, More Or Less! The series is created by Molly Patton, and is actually done using the popular game The Sims. She asked if Parker would do some barking and panting for the dog in the series. Of course, we couldn't turn this down because this series is adorable and it has fans all over the world (tween girls everywhere, though after watching it, that part should be obvious)! For more episodes, visit The Official Ella Site or see the episodes on YouTube. 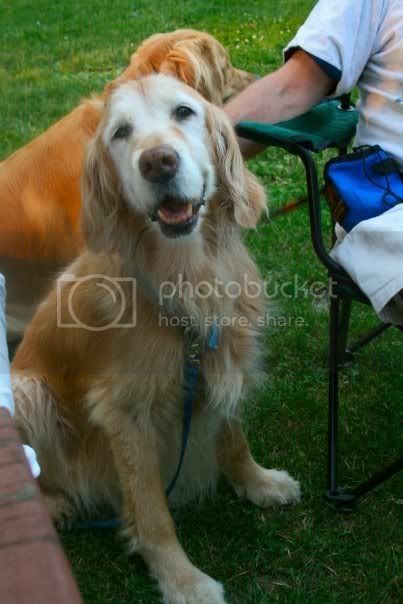 We had 14 amazing years with a beautiful soul. 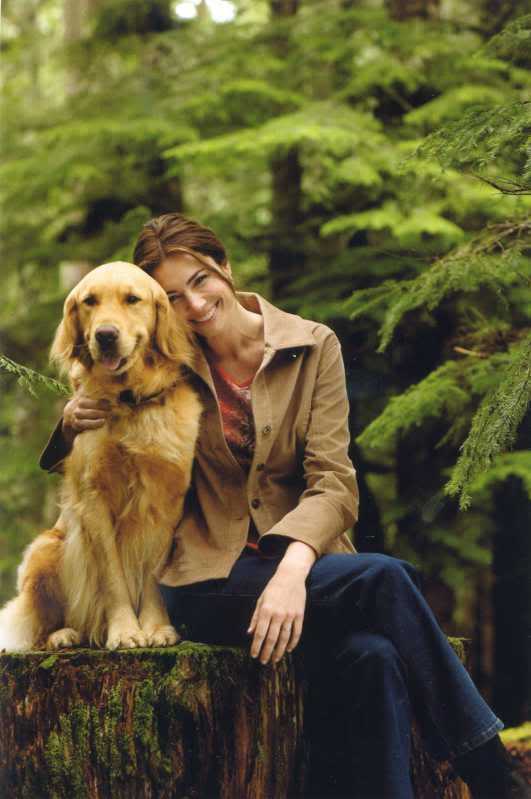 Our beloved Sophie, and Parker's loving friend, passed away on March 2, 2009. Our little "Pee Pee Queen" will be sorely missed, always remembered, never forgotten. A beautiful girl inside and out. Please... hug your babies. Soak in the moment. Their time with us is just too short. A little bunny and a little "daisy" would like to wish you a very Happy Easter! Parker's now 18 months old... and that means we're at a good age for him to get neutered! Poor Parker had no idea what was in store for him the night before when he went to bed without dinner!! Needless to say, Parker did just fine. He came home a bit groggy and all he did was sleep for a good 12 hours, but soon after he was back to his normal self, and we actually had to work to keep him calm for the next ten days!! Heading into the clinic the morning of his surgery. Post-surgery. Post-Surgery fun... in the water?? YES! Parker finally loves the water!! 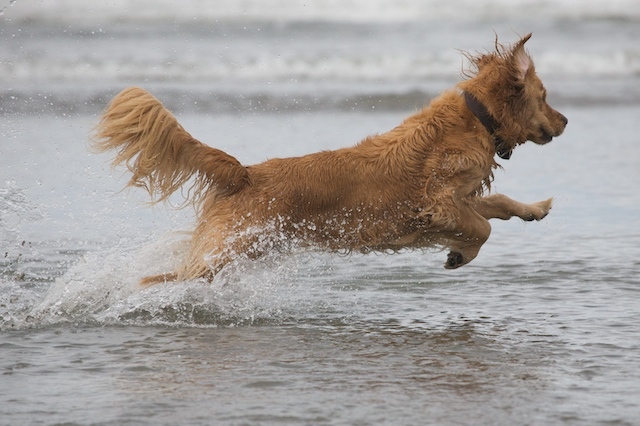 Didn't film much of it, but Parker started going nuts for jumping and running in the water! It was so much fun to see... the confidence is growing! Gotta say, agility class has done wonders so far for this guy's ego! Meanwhile... this is proof that being neutered has not slowed this little guy down! And Daisy is glad to have her friend back to normal. 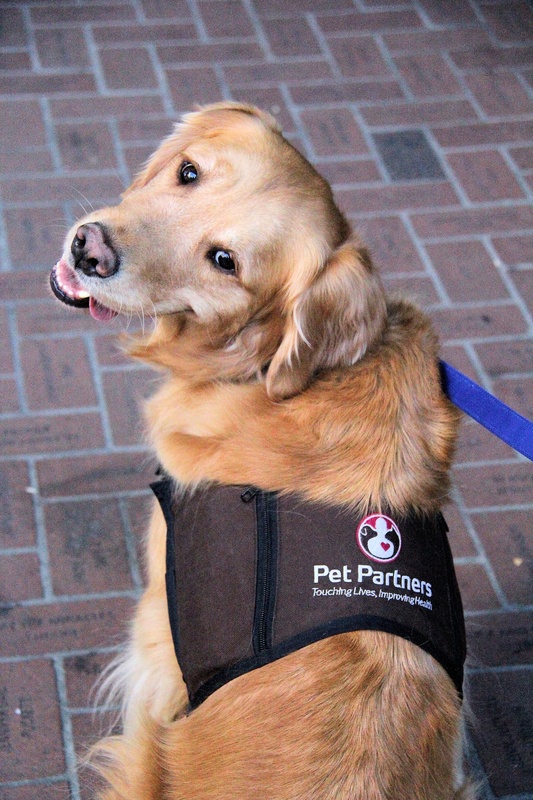 Parker participated in his 2nd Doggie Dash this year, a charity walk for the Oregon Humane Society. There were about 5,000 people, and just about as many dogs! 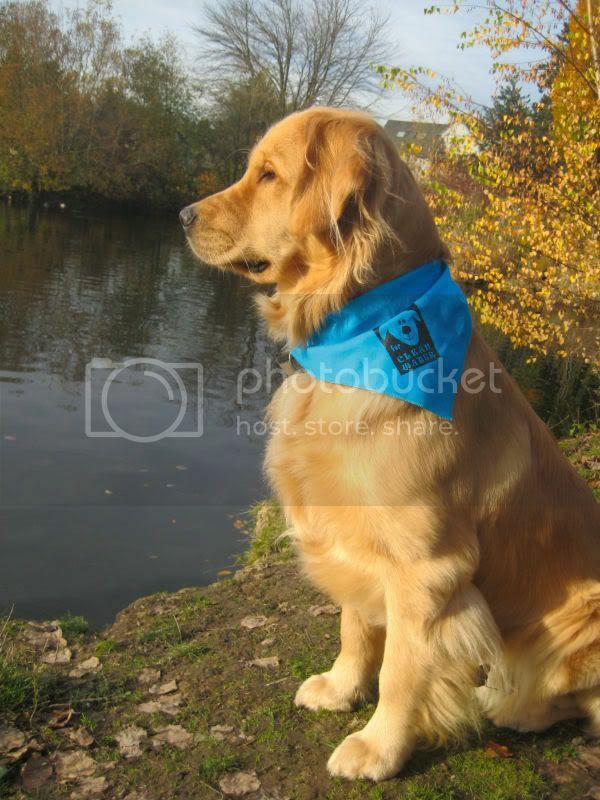 To see his experience at this event, visit The Dog Blog! We also have a ton of pictures up in the 1 Year photo album under 20 months. It's hard to believe, but we've hit the end of another page! Click on the banner below to keep up with our boy!